Chores are such an important part of family life. Children need to learn responsibility. This is a list for your toddler/preschooler. Some of the things on this list would be better for your preschooler and some better for the toddler. Many will be for both! You will know what each child will be capable of! If you have a child with special needs keep in mind you may need to lower the age for that child. Another benefit of working together at home is that it does help bond you with your children. It may not always feel like it when they are complaining but if you set up great habits when they are this young, they learn that this is a part of life and as you work together you talk together and that is connecting. I would love if you would add to the list. What chores do you have your preschooler/toddler do? My preschooler helps dry dishes. She drys all the plasticwear and silverware too and puts the silverwear away in the drawer (which obviously does not include sharp knives). This is a great one to add! Thank you!! Love this list! I forgot that last week I filled a spray bottle with water and a couple drops of vinegar – I gave her the bottle and some paper towels and she went to town on the kitchen floor 🙂 We had about 10 very shiny tiles when she was done – and I was able to clean the bathroom while she was working on her own! These are great ideas! 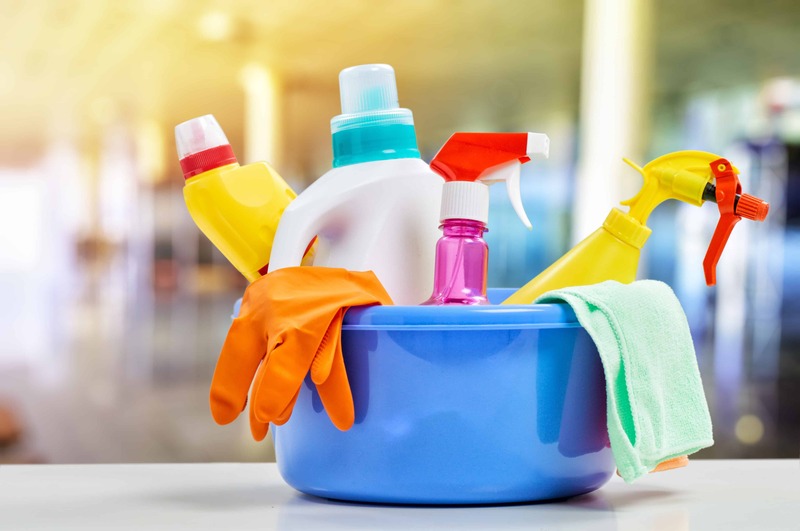 I let my kids take a water spray bottle (or vinegar water spray bottle) and wipe down surfaces or whole rooms (like the bathroom *after* I’ve cleaned it). They can also fill up big plastic cups to refil dog or cat water dish, or refill the food. They can also rinse the fruits and veggies in a strainer in the sink and then dry them while I’m cutting them. I’ve also taught my 3yo to fold our square kitchen towels and cloth napkins. He’s gotten really good at it! We have a lint trap on the dryer that is accessible to their height so their job is to clean it when we’re moving over laundry. My 18 month old can drag the empty laundry baskets back to the bedrooms. Thanks Teresa for more suggestions, I love to see what my readers are doing in regards to chores! Sounds like you are starting early in teaching responsibility! Good for you, thanks for the visit! Put own pjs and undies away (things that don’t have to stay folded in our house :), we also do unload the silverware drawer, and I let them wash Windows with a natural cleaner and vacuum/swiffer mop when they want to!